This week on January 24th the World celebrated the first ever International Day of Education. At ACT, we know the power of early education in transforming lives and societies. That is why we put access to education at the heart of our mission to give local people in Africa the skills necessary to create their own destiny. Education is fundamental to development and growth. The human mind makes possible all development achievements, from health advances and agricultural innovations to efficient public administration and private sector growth. For countries to reap these benefits fully, education must be accessible to all. Many economists and political scientists predict that the 21st century will be the century of Africa. By 2050, Nigeria, already one of the most populous nations in the world, is expected to have a larger population than the United States. By 2100, the three biggest cities on Earth are likely to be Dar es Salaam, Kinshasa and Lagos. If you add to this the fact that Europe and Asia are facing recession as their export markets collapse, it is essential for the global order that Africa develops and becomes the new destination of choice for manufactured and Hi-tech goods. In fact, PricewaterhouseCoopers (PwC) predict that by 2050 Nigeria will be the 14th, Egypt the 15th and South Africa the 27th biggest economies in the world. The relative low cost of labour and land on the continent may well see large companies gradually relocate to Africa, especially to the more developed nations of Nigeria, South Africa, Kenya and Tanzania. All this together makes it highly likely that for the first time since Mansa Musa of the Mali Empire (14th century), the cradle of humanity is poised to take centre stage in world affairs. However, this cannot happen without serious investment in education. Within cities and metropolitan areas, resources are greater and foreign investors are more likely to focus their attentions in such areas where infrastructure, tourism and trade are concentrated. However, at ACT we choose to focus our attention on rural communities as these places are often left behind. A simple greenhouse or water tank can revolutionise life for those living in a village miles from the capital. 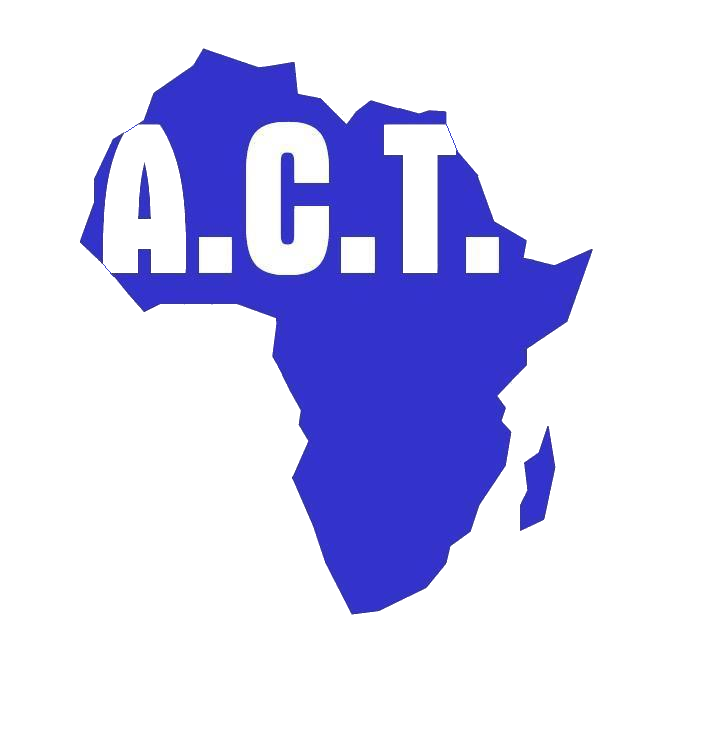 ACT also chooses to pay great attention to the fact that 40% of girls on the African continent leave school at a very young age, often when they start menstruation. This is due to several factors but two key factors are the stigma attached to menstruation and a lack of facilities and supplies to enable young girls to attend school whilst on their period. This is why we have already set up one project, (Ulemu) in Malawi, to tackle this problem. Not only is it the right of girls as 50% of the population to have an education, to inadvertently deprive them of one is to handicap a nation’s potential. At ACT we understand that education is not only the right of every child but that it plays a vital role in improving all aspects of life. This is why we put education (primary, secondary and tertiary) at the heart of our work. Since 1998, we have supported over 5300 children with either full scholarships or welfare support to buy necessary school equipment, such as books and uniforms. Still, we want to do a lot more. – To double the number of children receiving full academic and welfare support to 1,400 by 2023. – To support our Alumni Group to enable those we help to help others. – To complete at least one community project each year that will truly enhance the rural communities we support. Previous examples include our Webuye Water Project (Kenya) which has given 800 staff and school children access to adequate sanitation facilities. If you believe that education is a human right, if you believe in gender equality, if you believe that children deserve time to go to school instead of working or collecting water and if you believe in the potential of Africa and its people then please click here to support our work. With your support, we can create a brighter future for the millions of children across Africa who are currently missing out on an education.